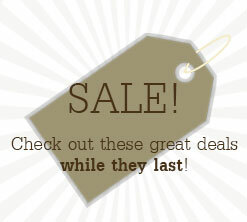 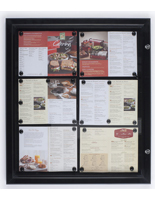 This tackboard, outdoor cork board is made to fit 13" x 19" pages, enabling it the ideal size for menus. 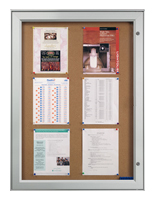 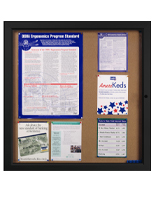 Each cork board can be mounted choice of vertically or horizontally, contingent on your needs. 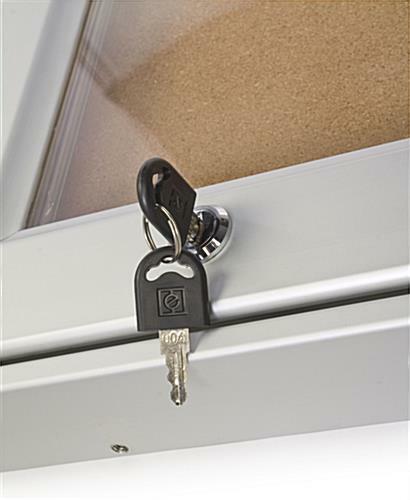 A set of pushpins and two keys are also provided. 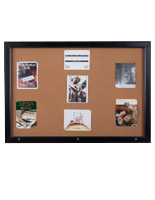 Despite the fact that engineered to be utilized outdoors, this cork board is outstanding inside as well. 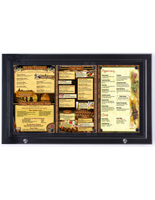 This outdoor cork board is outstanding for restaurants, churches, schools, and outdoor activity centers. 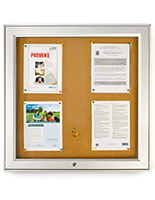 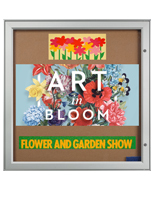 This outdoor cork board, likewise recognized as a tackboard or bulletin board, permits you to exhibit menus and other information outdoors. 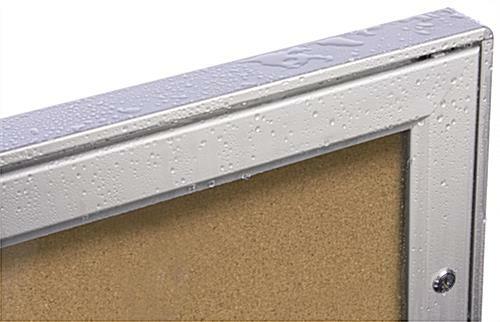 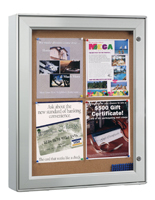 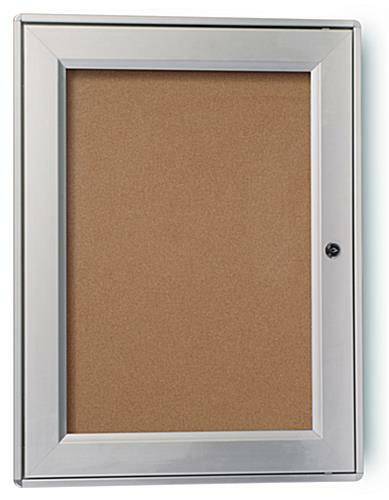 Especially engineered for exterior use, this outdoor cork board incorporates a powder-coated aluminum construction, and rubber gaskets to maintain moisture out. 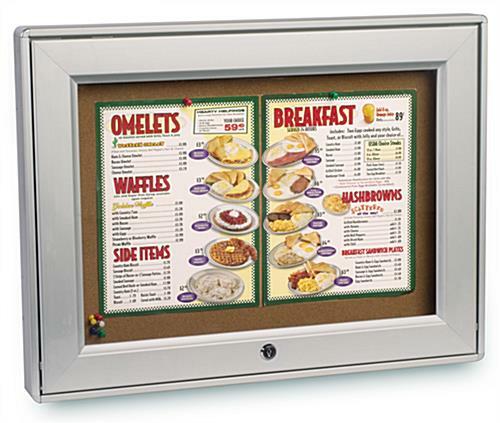 A locking frame deters meddling, while a swing-open door permits for easy menu or graphic changes. 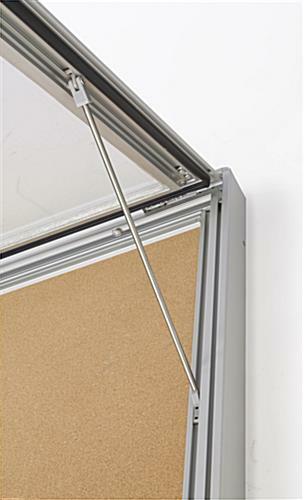 The door can open from the left, right, or bottom contingent on how you mount your board. 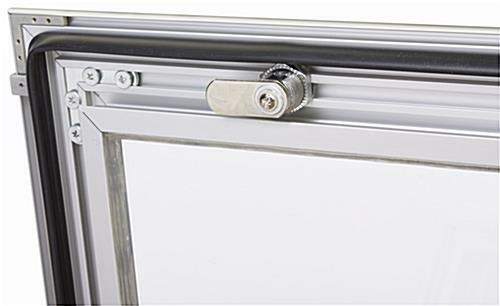 Door supports also keep the frame open while you are installing your contents.